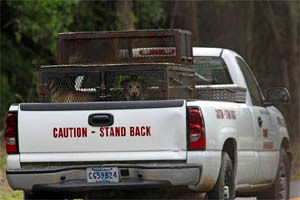 SOUTH CAROLINA -- A two-month-old boy was killed by his family's retriever Friday morning while his father slept and his mother was at the doctor with another child, authorities said. Aiden Lee McGrew, born on Valentine's Day, died after he was bitten multiple times and dismembered by a dog inside his home at 151 Sandpit Drive in rural Dorchester County, Dorchester County Coroner Chris Nisbet said. Sheriff L.C. Knight said no charges have been filed as the case remains under investigation. The infant was in a baby swing in the nursery while his father, Quintin McGrew, slept in his bedroom with their 3-year-old child and the other family dog, Knight said. The boy's mother, Chantel McGrew, came home from a doctor's appointment with their 7-year-old child and found the badly mauled baby on the floor, Knight said. She called dispatchers at 11:08 a.m. and reported that the child's leg had been severed. The baby was taken to Summerville Medical Center where he was later pronounced dead. An autopsy is set for Saturday. Nisbet said the autopsy will help determine if the child died prior to being dismembered. 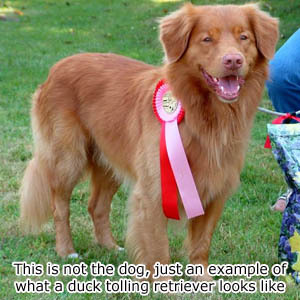 agree it's a Retriever mix of some sort. The couple's two older children are in DSS custody, Knight said. The dog, locked in a sheriff's office pen, appeared friendly and eager to play Friday afternoon. 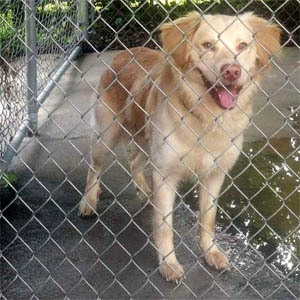 Knight said the family had baby-sat the golden retriever-mix in the past and recently took ownership of the dog when its family decided it didn't want it any more. Both Knight and Nisbet said the case was among the worst they've ever experienced. “This is about as bad as it can get for a police officer,” Knight said.